said lead researcher Jillian Peterson, PhD. 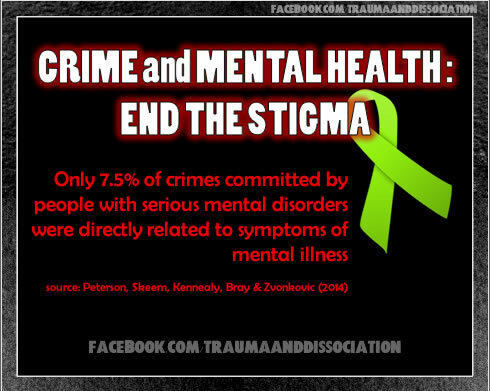 The researchers also found that two-thirds of the offenders who had committed crimes directly related to their mental illness symptoms also had committed unrelated crimes for other reasons, such as poverty, unemployment, homelessness and substance abuse. and any trauma-related or dissociative disorder.